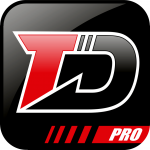 TrackDay for iPhone and TrackDay Pro | FTLapps, Inc.
* The majority of the tracks in the TrackDay for iPhone edition are available for in-app purchase. Recently added tracks are offered for free for a limited time. ** As of the 2.0 release, the TrackDay Pro edition can compute a track (raceline, start-finish, pit-out and pit-in) from a selected session. 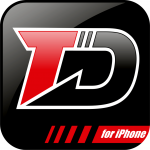 In the 2.2 release, this capability has been extended to the TrackDay for iPhone edition. Thanks for your request! We’ve added it to our list. Apple Maps still shows it as a mall… so, that’s a problem; we need accurate satellite imagery to plot the course and identify the start/finish, pit-in and pit-out features. But we have a very old iPad still running the Google Maps API under the app… The Google imagery shows the track under construction. There’s a chance that we can use that imagery. Stay tuned! It has taken us forever (in TrackDay-years) but the delay has paid off — the satellite imagery has recently been updated, and the actual pavement is now visible!